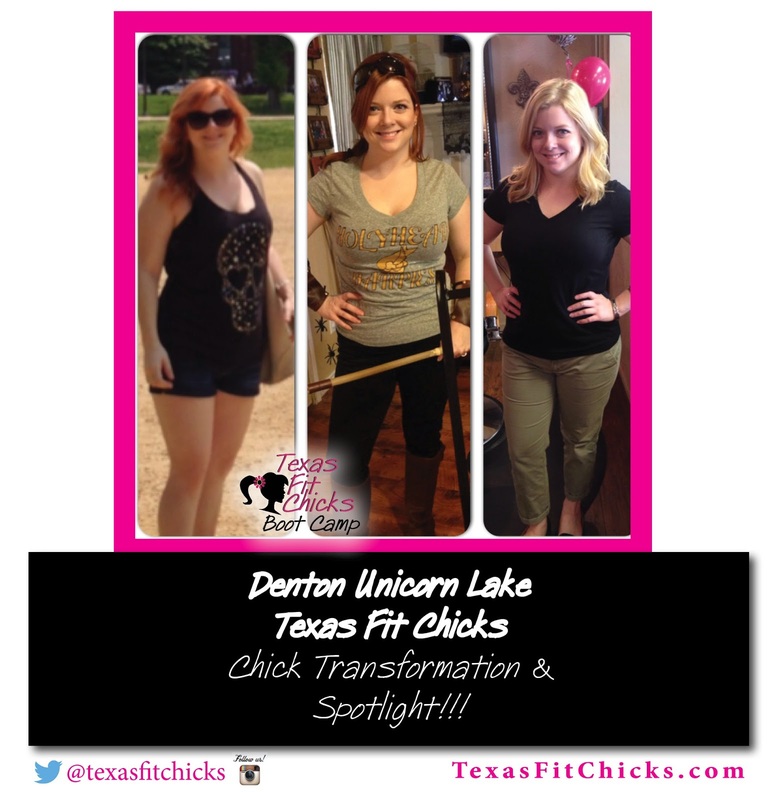 "I joined Texas Fit Chicks in March of this year after a friend recommended it to me. I had been complaining about how I hated my body and I needed to make a change. I was so intimidated to try something new, but that first free class turned out to be the best workout I had ever had! Christy is so nice and funny, but also takes the workouts seriously and pushes you to be stronger. The first 4 weeks of Texas Fit Chicks boot camp I dropped 13 lbs. and felt so much better about myself. I joined again in September and in the last 7 weeks I have seen even more results! At first I was measuring my success by my weight, but now I am more focused on how I look. 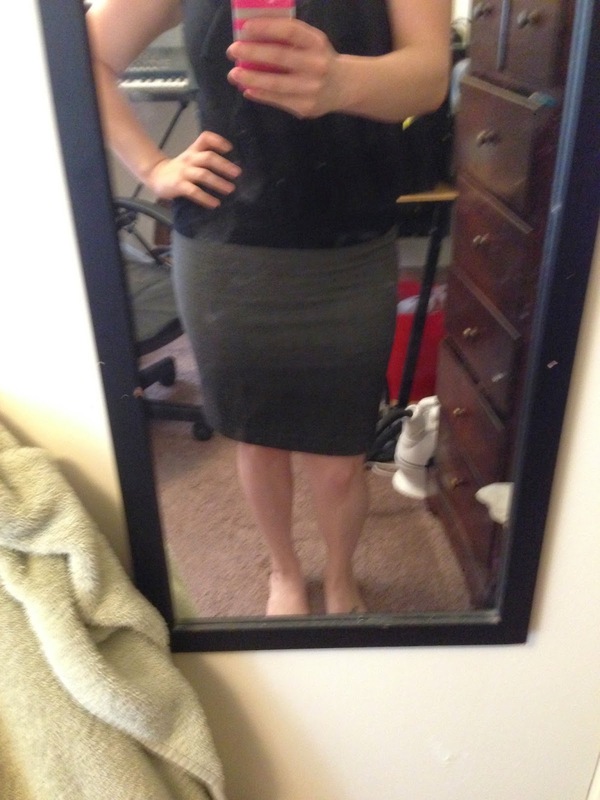 I have reached my size 6 goal, down from a size 12! I know this would not have been possible without the fun atmosphere and accountability that Texas Fit Chicks provides! I am so much happier and confident with my body!" The holidays are coming! Time always goes so fast from October to New Years - and sometimes the scale can move upwards pretty fast for many Americans as well!! Some research indicates that the average American gains between 5-10 lbs from Thanksgiving to New Years....that takes A LOT of work to get off!! Texas Fit Chicks has a solution for you ~ and a HOLIDAY discount to help keep you on track!! We know that schedules can get a bit crazy and travel can interfere with your attendance at camp, so if you let your trainer know when you will be out of town when you start your session, you won't lose those workouts! You will be allowed to make them up when you return. We also want to give you the gift of SAVINGS and are offering our Fit For Less package (regularly $129/mo with a 3 session commitment) for just $99/mo for 3 sessions!! That brings camp down to just 8.25/session with your trainer and you're committed through the holiday season!! Your trainer will check in on you if you miss camp ~ that accountability is PRICELESS and will keep you on track through the temptations of holiday parties and all the goodies that will surround many of us from now till New Years. As a BONUS - when you sign up for this deal by November 15 - you will also receive our HEALTHY HOLIDAY GUIDE which will include recipes to create and serve a yummy and healthy version of our favorite foods. Ready to start? Head over to www.texasfitchicks.com and click on "Locations" to find one of our 150+ camps near you. From there you can 'sign up' or contact the trainer directly for more information! TFC Supports NICU Families and Breast Cancer Awareness! This October Texas Fit Chicks is giving back through two big charitable community events! We're excited to share them with you in hopes you will join us! On October 18th, we invite you to join us for a FREE Saturday bootcamp in the McKinney area! This Texas Fit Chicks FREE Saturday bootcamp is special because it's all about BREAST CANCER AWARENESS & we will be accepting donations in support of the cause. Wear your Pink and come support Texas Fit Chicks help fight breast cancer with a free boot camp! 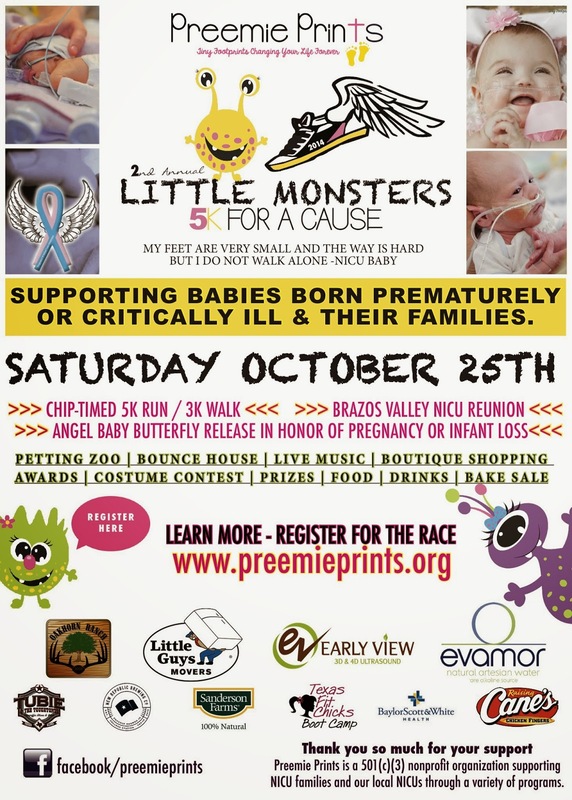 Then on Saturday October 25th, we're proud to sponsor The Little Monsters 5K For A Cause in College Station, TX! Preemie Prints is a nonprofit organization supporting families who have babies born prematurely or critically ill and those who've experienced the loss of their baby. 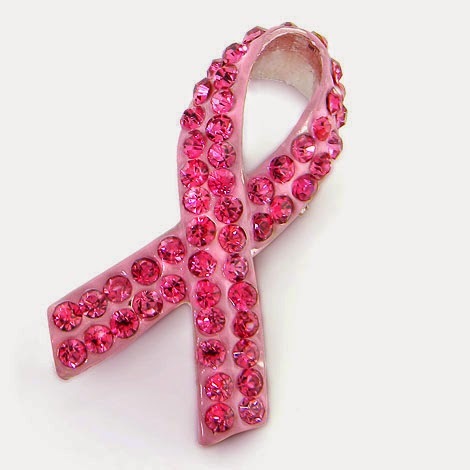 In addition to October being breast cancer awareness month, it's also pregnancy and infant loss awareness month. 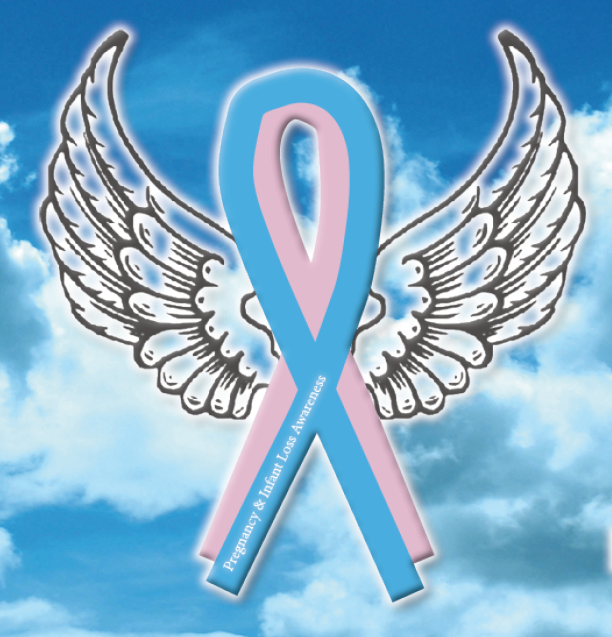 The 5K event will end with a butterfly release in honor of babies who did not make it. We invite you to join our Texas Fit Chicks running/walking team and support NICU, preemie, and angel families. As sponsors, we're excited to be a part of the festivities by leading all runners & walkers in a warm up to kick things off!! After the run we invite you to come visit us at our Texas Fit Chicks booth! LEARN MORE, JOIN US, REGISTER FOR THE RACE ONLINE! Together let's raise awareness for breast cancer, prematurity, NICU families, and pregnancy & infant loss. Join us at one of our upcoming community events. 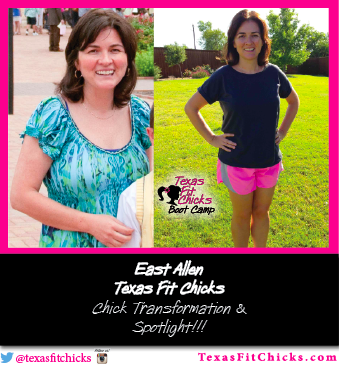 From East Allen Texas Fit Chicks ~ Chick Transformation ~ Bonnie!! "I was a reluctant Fit Chick. Although I knew that I needed to do something, I had tried diets and exercise programs before and they never stuck. They would last a month or so and then I would quit. When a friend sent me an email for a Groupon to Texas Fit Chicks, I thought it would turn out like the others. Boot camp just sounded too hard for me and it was too early in the morning. I was not an athlete nor did I want to be an athlete. I wanted an "Easy" button. However, I did buy the Groupon and started the following Monday with my friend. And Monday was tough!! I don't think there was one set of exercises that I could finish. I came home sweaty, exhausted and ready to quit. I just needed to make it through the month with my friend and then I was done! Whew! But it was funny how quickly my body adapted. By week two, my body had adjusted to getting up early and although I still needed some modifications, I could make it through the workout. It was not very long ago that I hated to hear Jaime say "Tabata," but now, I am up for that challenge! I started doing push-ups on my toes and not on my knees. I think what impressed me most about my body was how it adjusted to the stability ball. When I first started, I felt so insecure with the ball. It would roll and I didn't have the strength in my core to keep it in place. I have not mastered it, but I can tell that I am much stronger. Another great thing that happened for me, was that my eating habits changed. I believe that when I started working out, hard, my body started craving fuel instead of just food. I have been on diets before that limited sugary, salty and processed foods but it was difficult for me to stay on them. I still craved junk and fast foods. However, after a couple of weeks of boot camp, I just naturally started eating healthier. I believe my body craved the whole foods that it needed. Jaime is an AMAZING trainer and I love her as my coach. She keeps things fresh and new, challenges us with our weights and cardio and encourages us to eat healthier. Her Facebook posts keep me motivated throughout the week. And we are participating in a 5K, together, as a Fit Chicks Team. 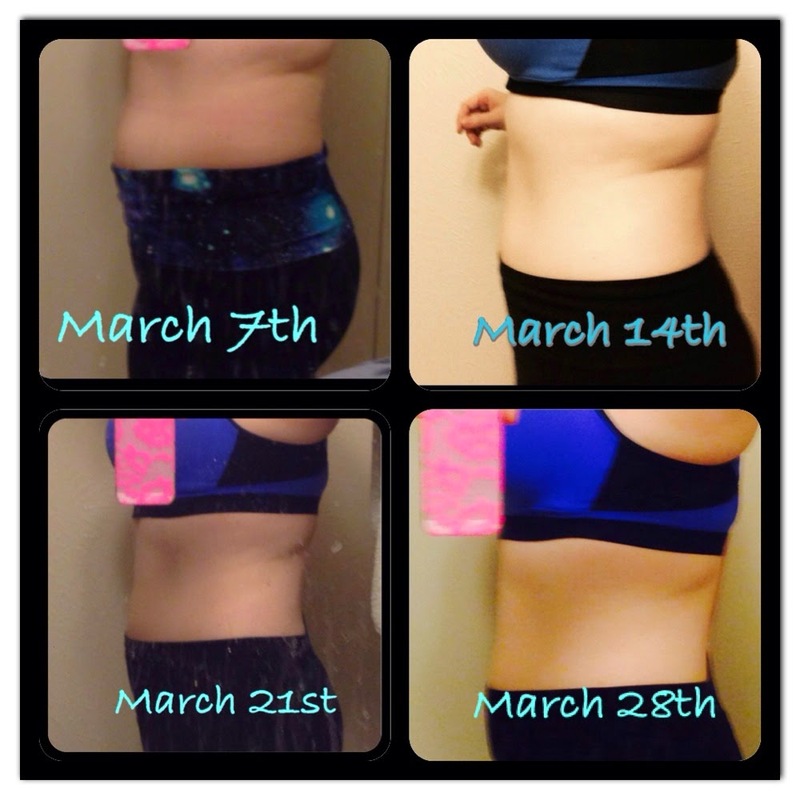 I am so glad that I have found something that works for me and I plan to stay a Fit Chick for a long time!"